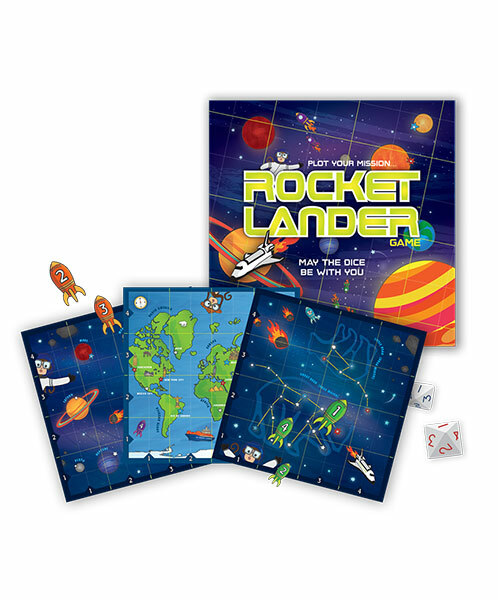 To begin playing Rocket Lander roll the two dice with red numbers. The numbers that appear on the red dice will be used by every player during the round and that red dice will not be rolled again until everyone has taken their turn. On your turn, roll the single die with blue numbers to determine a third number that is unique to you. Use all three numbers rolled by the red and blue dice to decide which number will be represent the row, which number will represent the column, and which number will represent the value of the rocket that you will plot on the grid.